Wow, this totally adorable! Thank you for your generosity! Orbital Sound (8 years ago) Inappropriate? Very nice detail! Thank you so much. lenkaltman (8 years ago) Inappropriate? Beautiful model, thank you! I had to create a "consignment shop" and fill it with a ton of models, and this one worked great. finister (10 years ago) Inappropriate? Thanks a lot! What a beautiful model! Ellie (10 years ago) Inappropriate? Wow this is adorable! Thankyou so much for sharing! didda (10 years ago) Inappropriate? Awe, this is so cute. 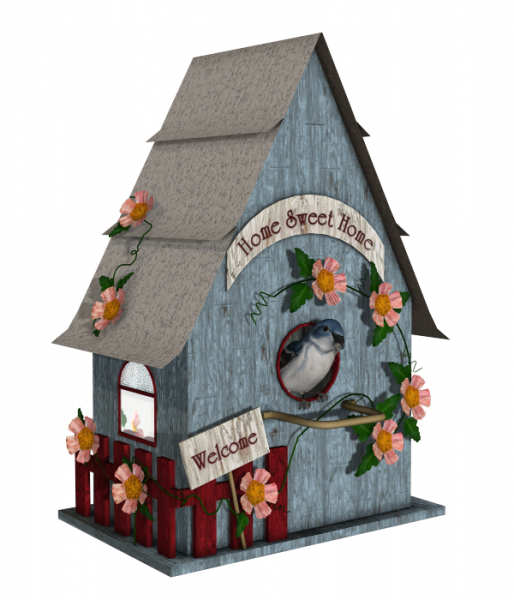 Home sweet Home .. thank you so much for the Birds house , it is done with love to detail i can see . Have a nice and harmony Holiday Time ;-) .